Thanks to a $99.8 million U.S. DoE grant, the largest electric vehicle experiment in our country’s history is underway. 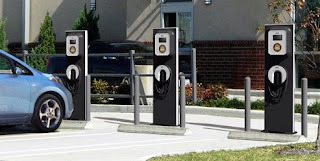 The company, ECOtality, will oversee the placement and installation of the charging stations, which is a $250 million, six-state roll-out program of roughly 15,000 charging stations. 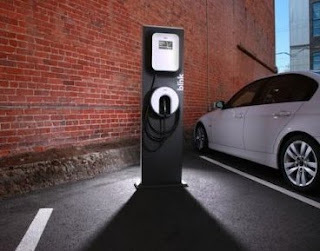 Their pilot program called, "The EV Project", is a data-gathering exercise intended to document the performance of electric vehicle charging stations and monitoring of driver habits. More importantly, Portland, Oregon is leading the way when it comes to building sustainable communities with the help of several major automakers Ford, Mitsubishi, and Navistar. They have selected Portland as a test market for their massive batch of electric vehicles that hit the roads, which has economic development officials salivating over Oregon’s positive reputation for currently being the leader in the still-every-developing-and-testing world of EVs. At the most basic level, ECOTality’s EV Project, funded with nearly $1 million in federal stimulus funds, will bring work to a network of regional contractors who will be accountable for installing the charging systems, 1,000 of which will be peppered around businesses, 150 at public buildings, 90 at the homes of Nissan Leaf owners, and another 45 quick-charge units. At a more practical level, public awareness is increasing at a national level. Personal "range anxiety", which is EV slang related to the fear of running out of gas, is making an EV purchase a more practical and realistic option for consumers. And even more exciting in how start-up companies are thinking of creative ways to help consumers get from Point A to Point B in their fast, buzzing, fully charged EVs. The energy for the charging stations comes from the grid, right? So it would seem to be important to know which cities are the furthest along toward using renewable energy in their power grid. I wonder how Portland is doing in that area. I also wonder if any EV companies are looking into putting solar panels on hoods to defray some of the use of coal power plants. @Cardozo: Many sustainos, like yourself, raise that very same question. The grid is still primarily based off coal; however, has the potential to be diversified through renewable energy inputs like wind, solar, geo, and perhaps tidal. It's the year 2010...interesting to see what will evolve, eh?